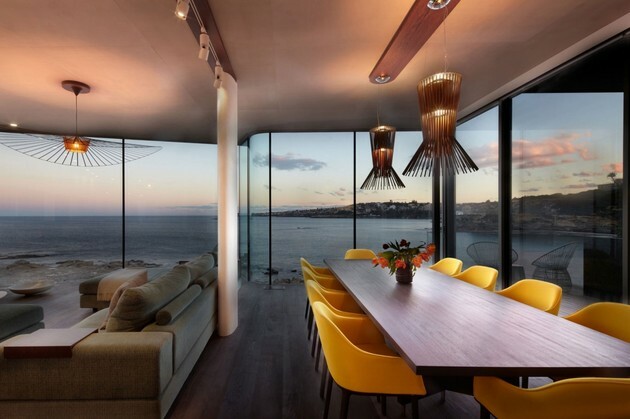 This incredible ocean view living room was designed to take advantage of the views and no wonder. 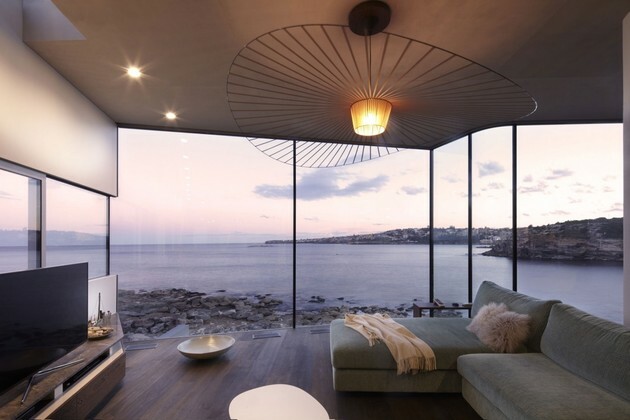 It’s a stunning view of the ocean from this private home in Sydney, Australia. 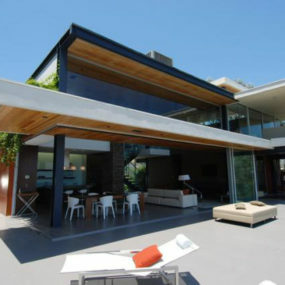 And it was due to the relentless southern winds in that location that the architects at Rolf Ockert Design decided on walls of glass, rather than windows or doors that would open. 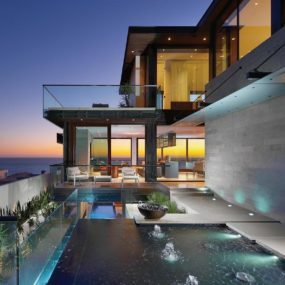 Frameless floor-to-ceiling double glazed glass walls make you feel as though you are hanging over the edge of the ocean. 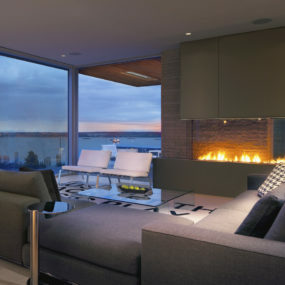 And aren’t those light fixtures stunning, particularly the one over the sofa? 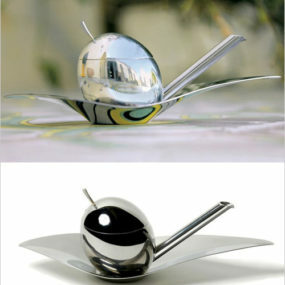 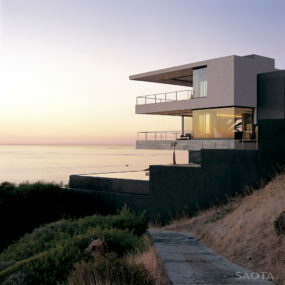 It has fluidity and motion that stands on its own, yet stands back from the view. 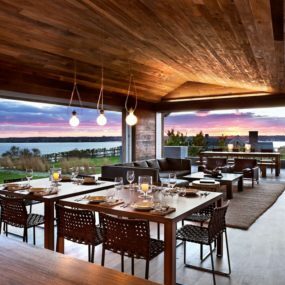 Because here, the view is the thing – as it should be.